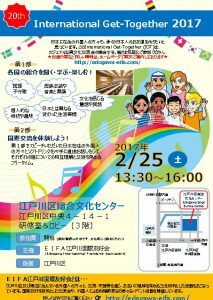 This is an opportunity for resident foreigners to get toknow Japanese and other foreigners. It will serve as casual event doing cultural exchange. All persons interested will be welcomed.